Oh! How dreadful it is to be injured and on the bench during racing season or training season… or any time of the year. 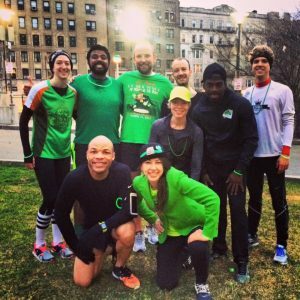 Runners participate in this all-year sport where there never seems to be a good time to take a month or two off. It is difficult to remember: REST and RECOVERY are important components of your running lifestyle! We can only grow stronger as athletes if we take the time to recover in our training cycles and in our training week. A place for us broken people of CHRC. Join if you’re currently injured, recovering from injury, or looking for ways to prevent injury that is all too likely too happen. Its purpose is mostly just a way for all of us with injuries to stay connected. Club Points races are a great way to experience the team element in running. Captain Potassium (see above) leads our team to positive experiences at these particular races and we try to have at least a couple #CHRCNegativeSplits out there to bring in the smiles! 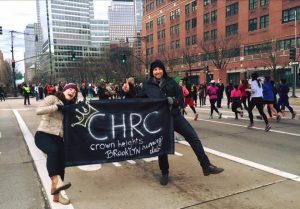 Join and make us Crown Heights proud! Our next Club Race is the UAE Healthy Kidney 10K — Sign up today! Also available NOW: Registration for the Queens 10K, New Balance Bronx 10 Mile and NYRR Staten Island Half are now open! 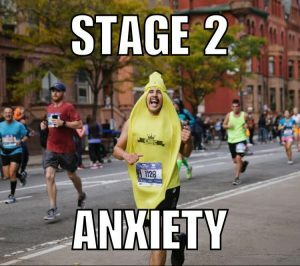 Complete 4 out of 5 in the series for a guaranteed spot in the 2018 United Airlines NYC Half. On Sunday March 19, the #UnitedNYCHalf will hit the streets. 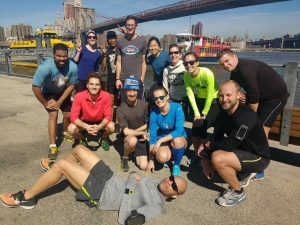 Led by a talent-packed roster of American and international elites, this race will bring awesome running and 20,000 beating hearts to some of the greatest running areas of Manhattan. Should you decide not to take the trip to Manhattan to see the spectacle, you can tune in to watch on your screens. Thursday, March 16, 11:00 a.m.—8:00 p.m.
Friday, March 17, 11:00 a.m.—8:00 p.m.
Saturday, March 18, 8:00 a.m.—5:00 p.m.
Racers and non-racers alike can come and check out the expo and any other lead-up events at the NYRR RUNCenter! Check it out! Have a great week! Stay safe as you endure Snowstorm Stella and celebrate PI Day and St. Patrick’s Day!